A partnership of individuals from Ann Arbor area congregations with a Danish Lutheran Society and the Russian Orthodox Church, ministering to crucial human needs in Russia. RUSSIA WITH LOVE is a gathering formed in 1998 by persons from a number of church traditions, including Orthodox, Catholic, Lutheran, Episcopal, Presbyterian, Methodist, Disciples of Christ and United Church of Christ for the purpose of working in partnership with the Danish Lutheran St. Paul Society and the Russian Orthodox Church. The goal is to strengthen the Russian Orthodox Church after decades of Communist oppression. Over several years more than fifty people from Ann Arbor have become directly acquainted with the work of Connie Meyer and Fr. Pavel Vishnevsky in Russia. RUSSIA WITH LOVE was initiated in response to a concern to help in the process of church renewal and outreach to the poor there. The monies raised by RUSSIA WITH LOVE have largely gone to support Fr. Pavel's and Connie Meyer's mission of church renewal and outreach to the needs of the poor in Russia. All who are interested are invited to join the RUSSIA WITH LOVE action committee, which meets monthly--usually from 10 am till noon on the second Saturday of the month at Memorial Christian Church (corner of Hill and Tappan, across from the University Business School). 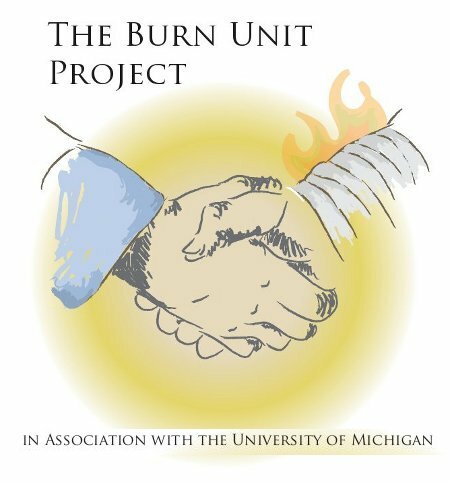 From April 23 to May 7, a team of three doctors, Alexey Viktorovich Trusov, Oleg Igorevich Starostin, and Elena Leonidovna Perskaya from Moscow visited Ann Arbor for special training in burn care at the Trauma Burn Center in The University of Michigan's Medical Center. We would like to thank Dr. Stewart Wang [surgery.med.umich.edu], who led the training sessions. Dr. Wang's specialty is blunt force trauma an area of focused study. A major issue in burn care is controlling infection, which was another focus. From 23/04/2010 till 08/05/2010 a team or Russian medical doctors including Dr. Trusov, Dr. Starostin and Dr. Perskaya had a training in Burn care in the Burn unit of UM in Ann-Arbor. The purpose of the visit was a profession exchange in Burn care -- acute burn injury and its consequences. Everything was arranged in a good way. Starting from the day we arrived we kindly and warmly treated. Dr. Wang is a head of the Burn Unit and he was in charge of us during our stay. He is an outstanding doctor and has a beautiful personality. Dr. Lena Perskaya, Connie Meyer, Misha Kazbekov, and I met to discuss follow-ups for the recent visit to the U.S. by Drs. Starostin, Trusov, and Perskaya. Morozovskaia Department 21 for newborns up to 12 months, who have infections, heart problems, cancer, hydrocephalos. Of 1623 patients last year, only 12 died. Speranskyi Burn Hospital, from which doctors will visit the Trauma Burn Center at The University of Michigan, in spring 2010, for special training in burn care and the possible beginning of future exchanges. Help in emergency situations, such as hospitalizations, special medical tests, and funerals.